Scarlets flanker Aaron Shingler has signed a contact extension to keep him at the region until "2016-17 and beyond". The 28-year-old made his Scarlets debut in 2009 and has been with them since. Scarlets head coach Wayne Pivac said: "Aaron was the leading line-out forward in the Pro12 last season and brings maturity and experience to the group." "I have ambitions to play for Wales and I feel that this is the best place to be to fulfil those." said Shingler. 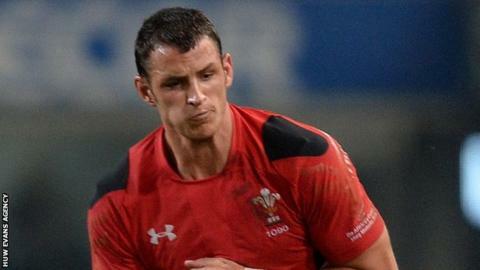 Aldershot-born Shingler has played Test and seven-a-side rugby for Wales. Scarlets host Racing Metro in the European Champions Cup on Saturday hoping to add to the losing bonus point they earned in last weekend's first-round defeat at Northampton. "It's important for me to be playing at the highest level to continue my personal development and the Scarlets, as one of the top two regions in Wales playing in the top flight of Europe, gives me that opportunity," said Shingler.